The Olympic closing ceremony featured a video segment that highlighted the top moments of the games. 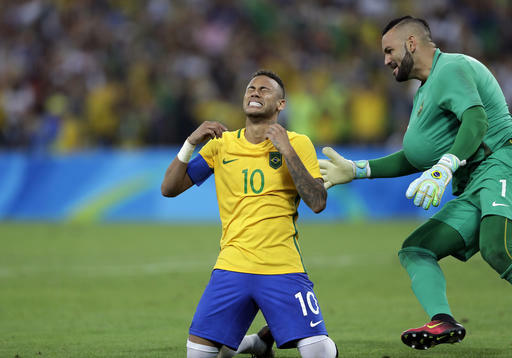 Not surprisingly, Neymar received a thunderous reaction. The crowd at Maracana Stadium roared when the striker’s image came on the screen. He kicked the Brazilians to gold one night earlier in the same arena _ the crowning achievement of the Olympics for the host nation. The crowd also cheered loudly when other Brazilian athletes were displayed, including a winning sailing team, beach volleyball players and gold winner Rafaela Silva in judo. And they cheered for Usain Bolt as well.